This post originally appeared on the MOPS blog in August 2018. In our increasingly digital age, many parents are given the opportunity to work a more flexible schedule. Occupations that previously required a steady presence in an office, distant from home, are now presenting options for working remotely. We can, at least on the surface, have the best of both worlds. Even as I type this, I am on the sidelines of a swim lesson for my two older daughters, taking a break from my job as a nursing school faculty member. What should have been a moment to celebrate astounding success instead caused a moment of pause. Here was someone that I saw on a regular basis who did not know I worked. Which, in my assessment, meant that I either never mentioned it, or I was able to coordinate our household schedules to the point where I could cover it up. I should have been dancing; it had always been my dream to be a present and involved parent, while still maintaining a job outside our home. If I was able to balance the two, kudos to me! But what did that comment say about how I valued my career? I love my job, especially the feeling of pride that comes with mentoring and launching future nurses. 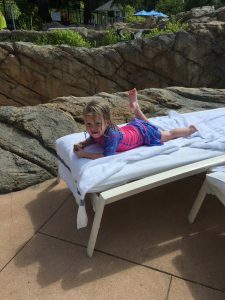 My daughters know what I do, and why I do it, but I don’t think it’s ever entered their thoughts that I might have another area of focus in my life outside of our home. I certainly want my children growing up in an environment where they are known, loved and valued. But, I don’t want them to grow up with the air of entitlement that every facet of my life revolves around them. I want our daughters to understand that their desires don’t always come first, both in our household and in the world at large. They need to grasp the reality that I am a person, with my own interests, passions and responsibilities. The true crux of my concern lies in my ability to balance my desire to be a present mother with the passion and necessity associated with my paying job. I want my daughters growing up with a role model who shows them an appropriate balance between the two roles. A mother who values her life outside of her children, whether that comes in the form of a traditional career, a volunteer position or an artistic endeavor. And if my local village doesn’t realize that I work, am I showing my girls this balance? Or, more likely, am I placing their desires, schedules and whims above my own working requirements? The answer lies somewhere in the gray zone, as most things do. I have adopted two mantras that have helped guide my decision-making as I raise young children and navigate the working world. I reassess the balance between being a present parent and a dutiful worker with each new season. I make it clear to my family that I reserve the right to switch things up. 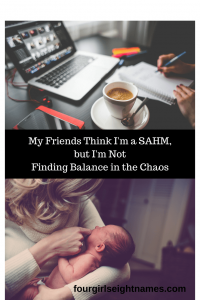 In some seasons, when I have an infant or my children have needed additional medical attention, I teach classes that are less time-intensive or incorporate fewer in-person hours. As my daughters grow in independence, I have taken on additional responsibilities at work. My second mantra is a little less practical, but much closer to my heart. 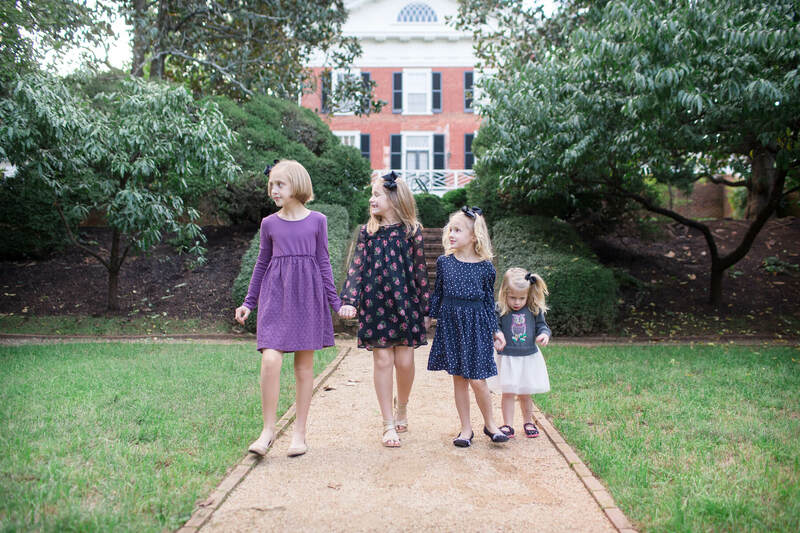 My greatest goal as a mother is to raise my daughters to know that, while they are loved unconditionally, they are not the center of my world, or anyone else’s. While this may seem harsh at first glance, my profound hope is that my girls will grow to understand that their place in this world is as a compassionate contributor. They each have their own unique gifts to give back to their community and to the world at large. If they are solely focused on having their every whim catered to, they will miss the profound opportunity to make a difference in this world. This is a work in progress, as life tends to be. Some days I rock it, just as my friend complimented a few years ago. Most of the time, I struggle with the moment-by-moment decisions that I make to love, support and nurture these little lives. My contribution to my family comes in all forms, and may not look the same from one season to the next. At the end of the day, I am eternally grateful for a career path that permits me the flexibility to watch my girls grow. In this witness, it is my daily prayer that they see me, not as the woman with all the answers, but as the evolving role model who relies heavily on grace.